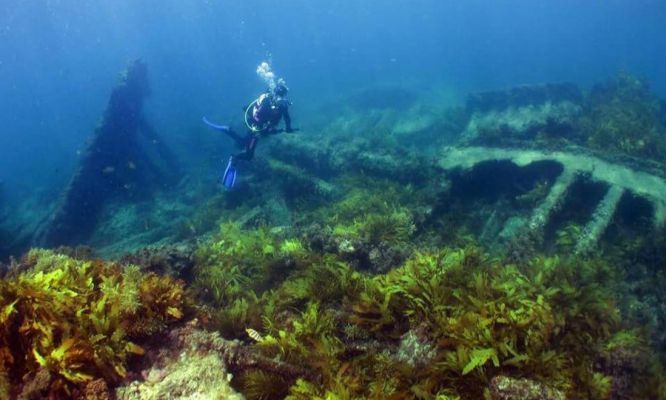 Did you know there are over 600 shipwrecks in the Swan River and off the coast of WA? A group of volunteers in Perth have been working with the WA Museum since 1974 to help with mapping and inspecting them. MAAWA (the Maritime Archaeological Association of Western Australia) provides members with the opportunity to dive on shipwrecks. They have the opportunity to participate in research and management of maritime archaeological heritage sites all around the coast of WA. MAAWA’s Secretary Patrick Morrison says, historically, a lot of wrecks were inspected by MAAWA in the 70s and 80s. More recently, he says members have started investigating 3D photogrammetry, which has reinvigorated the group. 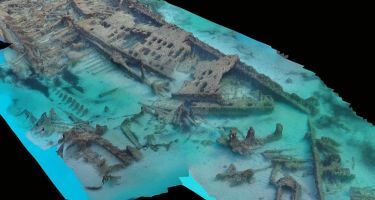 The Perth Region Maritime Archaeology 3-Dimensional Mapping Project aimed to record sites under water. Patrick says, in the past, this involved taking measurements from photographs, but now, computers can do it by themselves. An example is the wreck of SS Omeo off the coast at Coogee. In 1991/92, the site was recorded, involving hundreds of hours and diving and 2 years of technical drawings. Using photogrammetry, the site was recorded in 1 hour with a photo scan. “When you compare, you can see mistakes in the drawing—for example, the midline of the ship is actually curved,” Patrick says. He says drawings are still useful, as they can tell different things about a site. The group is now testing a feasible and cost-effective way for MAAWA to continue this work. 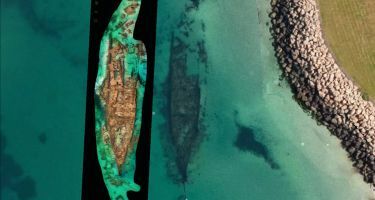 The Shipwrecks WA app lets you search a register of shipwrecks along the Swan and Canning Rivers, around the shores of Rottnest Island and the Perth coast. Patrick says there are over 40 years of wreck inspections sitting in archive boxes in the museum or members’ garages. 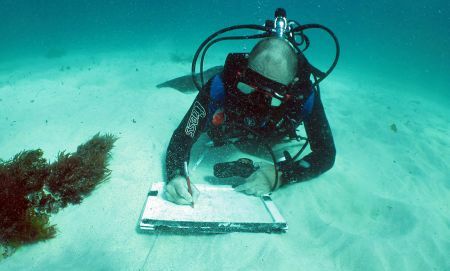 With funding from Lotterywest, MAAWA member Ian Warne has been working through these libraries and archives to make the data accessible for people wanting to dive sites. With around 500 to 600 shipwrecks along the coast and in the river, that’s a lot of information! “The earliest wreck we have is the Trial from 1622,” Patrick says. 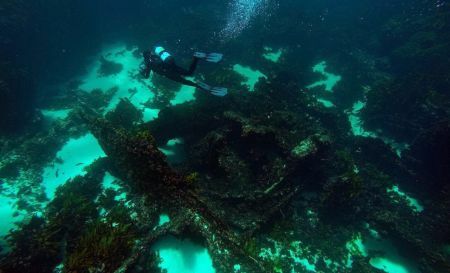 Wrecks include the Mira Floras, 12m under water off Rottnest, which is well protected by reef. There’s also the Macedon and Denton Holme, two large wrecks on Transit Reef in the Rottnest Sanctuary Zone, which are visible when snorkelling. Quite a different story is the Swan River project SCRIMSHAW. This project involves recording things in the river like dump sites. “Blackwall Reach is notorious for this type of thing—cars and bikes and shopping trolleys are found there,” Patrick says. There’s also of lot of wrecks, industry sites, a soap factory and debris from a slipway, plus a tunnel going 120 metres into the cliffs of Rocky Bay. MAAWA is digitising all of this information and will be running workshops over the next few months. 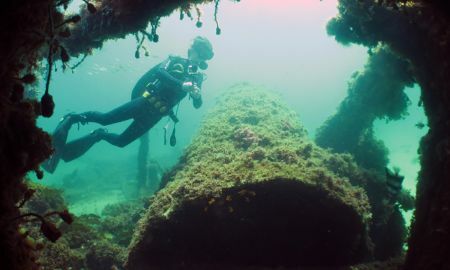 Currently, around 10 to 15 people are regularly involved in fieldwork, with the group meeting on the third Tuesday of every month at the Shipwreck Galleries in Fremantle. “People can show up and hear about what we’ve been doing and what fieldwork is coming up,” Patrick says. 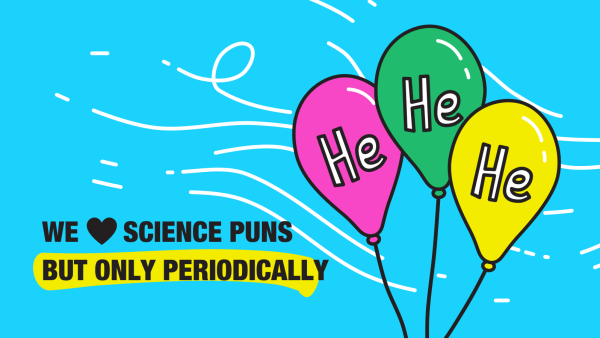 They also have guest speakers and training courses. Check out MAAWA’s Facebook page for more information. Avoid waste, gain a skill and drink a delicious coffee at Perth’s Repair Café. Cutting-edge work by Perth researchers may provide relief to tens of millions of migraine sufferers—with nothing more than a course of vitamins. It’s bad enough we give away data about ourselves, but when did we start giving it away for babies too?